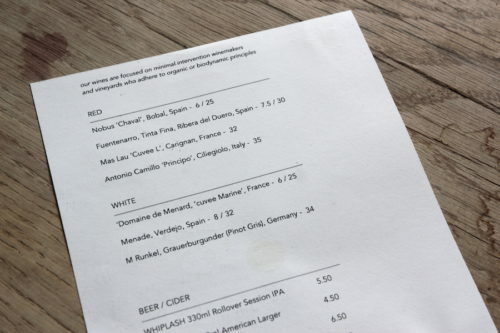 As a starting point….all our wines in the cafe these days are as minimal intervention as possible. Well, You might hear us calling them ‘Natural‘ wines. Surely all wines are natural? Did you know that up to 50 additives can be put into a bottle of wine during the fermentation process and only one needs to be mentioned on the label – sulphites. So when we talk about natural or minimal intervention wines, really what this means is that as little as possible is done to the grapes both in the vineyard and once they have been picked. Minimal intervention wines try to leave the grapes alone as much as possible to allow their natural characteristics come through. This is why Naturals can sometimes be a bit ‘funky’ and unpredictable. And thats fine by us. The farmers that grow these grapes would have an almost exclusive organic and biodynamic approach to their cultivation and their vineyards yet very few will have official certification. Natural wine is a movement. Not a new one, but a revivalist one. This is how wine was made before you ever had the option to make it otherwise. Before chemicals and additives and gleaming stainless steel technology were a possibility. There have always been winemakers who continued to make wine in this way, even with the arrival of all these new distractions. And there have always been restaurants who have championed these vignerons. But in the last decade there has been a phenomenal resurgence and steering back towards these principles. From both the winemakers and the merchants. The revival began with young Parisians but is now making itself felt in every wine producing and importing country in the world. Theres a lot to be said about all this and a lot of people saying things. If you wanna read up a bit more, this article is a pretty good start. Our wine list at the cafe is short. But offers a range of styles and approaches within this minimal intervention bracket. 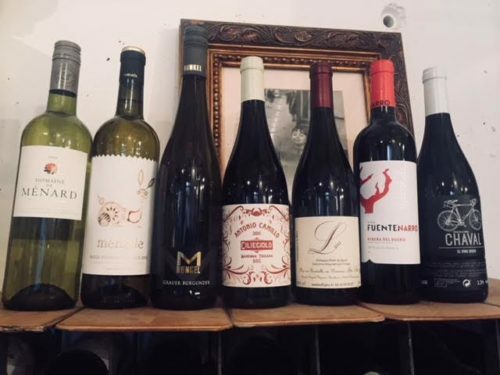 Natural wines are more of a philosophy than a classification. They are environmentally aware, not too rigid, sometimes unpredictable and will always be a true representation of where they come from. And the people who make them and drink them embody this.